Pack of two Mighty Mite MM701 pots. 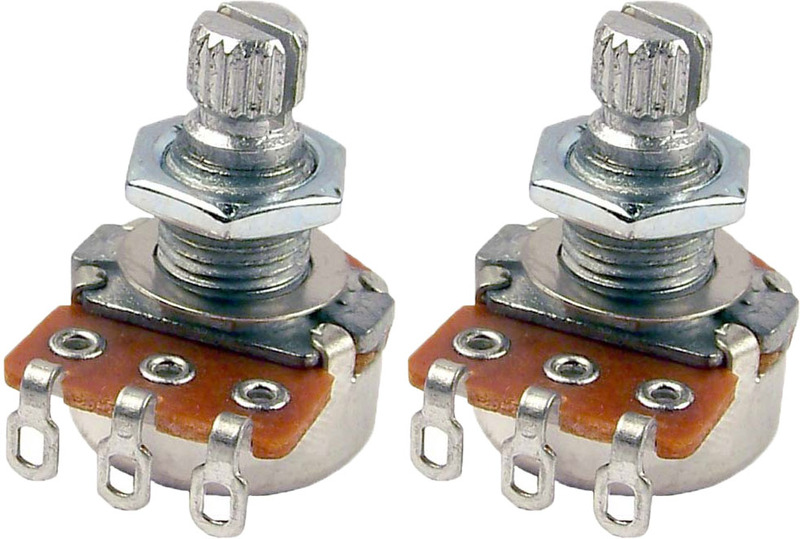 The Mighty Mite® MM701 is a small size 250k linear taper mini-pot suitable for tone controls. Includes washers and nuts. Split knurled short shafts, knobs not included. Pot body height: about 7/16"
Threaded shaft length: about 1/4"